Amidst swimming through social media recently and trying to avoid the same people arguing over the same political topics, I stumbled across a little bit of a gem. In fact, it intrigued me so much I decided not only to find out what was going on, but the story behind it. As it turns out, what I saw was every bit as good as it appeared to be on the surface. And it was even better in the middle and below and it all involves a Johnson Elementary Fourth Grade student who seems to have a heart as big as the new school. The young lady in question is 9-year-old (and turning 10-years-old on Monday) Audrey Kerr. The post wasn’t from Audrey but was in her mother Andrea’s news feed. Since I regularly work with Andrea in her role as the Bridgeport Community Development Director and have known her prior to that, things she posts regularly show up in my news feed. This one really caught my attention. Instead of telling you about the post, I’m going to tell you what led up to the post and why a whole lot of “adults” could learn plenty from this soon to be “tween.” (I found out that’s when you are ages 10-12 – no longer single digits and not yet a teen). 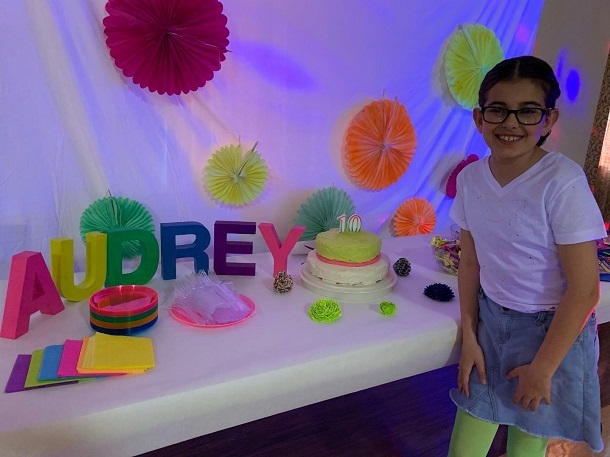 It seems Audrey and her mother were talking about having a birthday party this year. Mom kind of wanted to do something special with her since last year’s birthday request was a bit unique. Initially, it started out pretty simple. 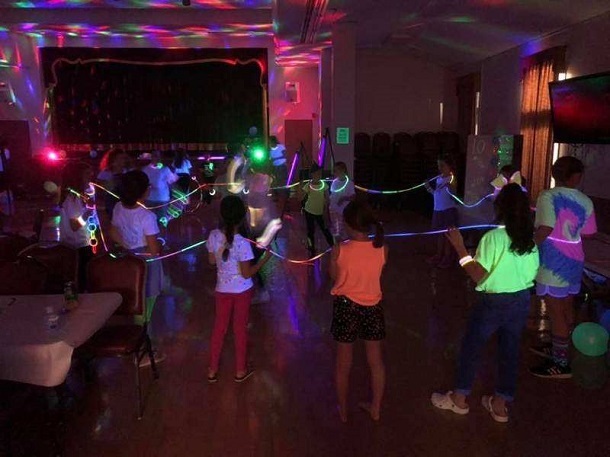 A dance party with a neon them for her and her girlfriends. And while that happened, things turned a bit upside down on one big part of the party. Soon, however, Audrey Kerr knew exactly what she wanted. Ironically, she found out the same way I found out about what she ended up doing – by looking on Facebook. “We were looking on Facebook together and we saw something posted about the Challenger League and she started asking a bunch of questions,” said Kerr. Kerr explained to Audrey what I call the greatest single event in Bridgeport, which is Challenger League. For those unaware, it’s a brand of Little League baseball that allows children with special needs, physical and mentally, to enjoy the Little League experience. “She ended up reading about it and didn’t really say anything until a few days later,” said Kerr. However, the silence didn’t mean she wasn’t thinking about it. What she learned about Challenger League made an impression. Then Audrey’s silence on the matter broke. She told her mother she wanted to raise money for the kids playing Challenger League and she knew exactly how she was going to do it. “We talked and instead of gifts from her family and friends, she would ask for donations instead,” said mom. For a young lady turning 10, passing up gifts is indeed a big thing. But, Audrey saw the bigger picture and decided to help. And so it began. Audrey even typed up invitations that asked for donations for the Challenger League instead of gifts. The initial goal was to raise $1,000 and Andrea Kerr said the amount may have seemed a bit steep, but then the party came. 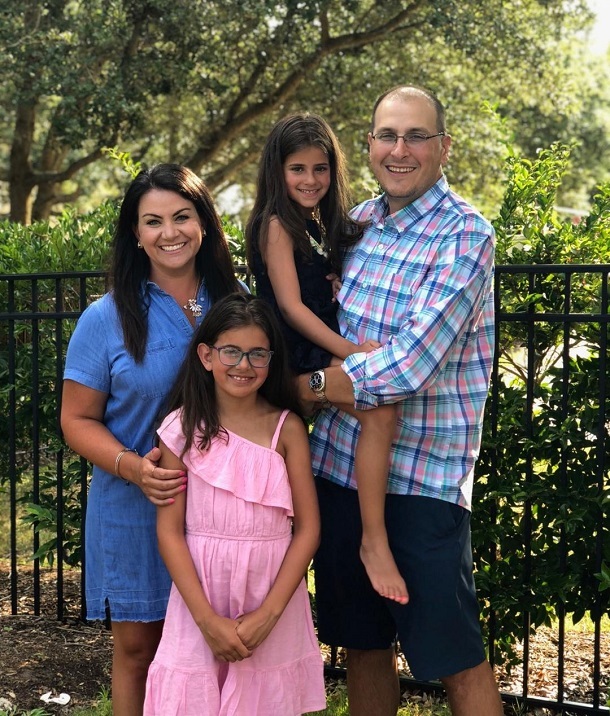 “The $1,000 was probably a number I threw out there and then I started thinking that is a lot of money and I wanted Audrey to know it was a lot of money,” said Andrea. “The party came, and she raised $550 through friends and family and she also had a blast at the party with her friends. That's what led to the post I read. The post worked. The initial goal was met as the Facebook page raised – as of Wednesday - $500 for a total of $1050. Now, there’s a chance to raise more to not only help this little girl’s good deed grow, but to help the Challenger League benefit as well. Audrey Kerr is doing something right for sure. And she’s going to get a reward for it from Challenger by being a "buddy". Despite being a young lady with a full schedule of evening activities, Challenger games this year are going to be on an evening where she’s not competing. Mike and Kim Martin, who head up the League, asked Audrey to be involved as a “buddy.” Challenger League Buddies hang out with the players and assist those that need assistance while competing. There’s a chance she’ll see some of her classmates from Johnson Elementary. JES has special needs students who are eligible to compete. 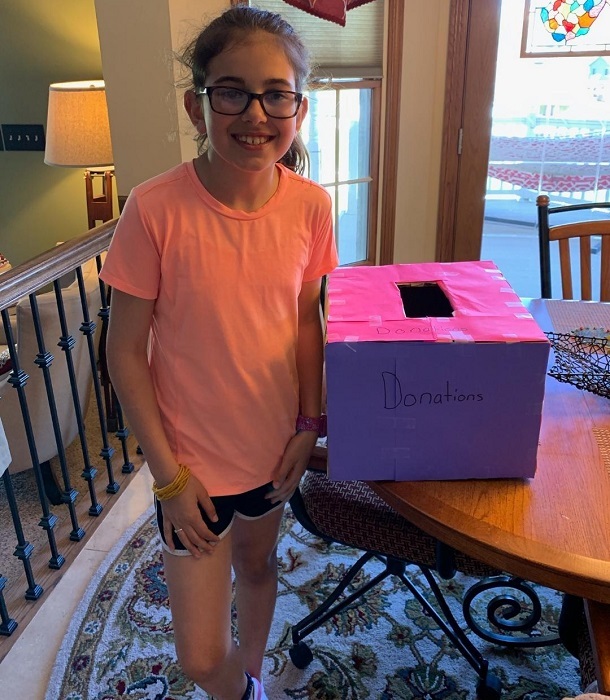 Editor's Note: Top photo shows Audrey Kerr with her homemade donation box, while she's shown with her display at her birthday party in the second photo. The third picture shows everyone having a good time at the 10th birthday party, while Audrey - standing front center - is shown with her mother Andrea, father Chris and sister ... in the bottom photo. Photos courtesy of the Kerr family.